Dr. Sasse has extensive clinical experience in coronary and peripheral intervention and a burgeoning interest in structural heart disease. 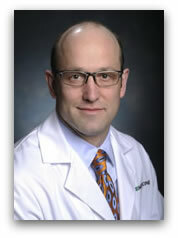 Prior to joining UAB, Dr. Sasse was director of the William S. Middleton Memorial Veterans Hospital Cardiac Catheterization Laboratory and a staff interventional cardiologist at the University of Wisconsin. He completed his medical degree and postgraduate training in internal medicine at the University of Rochester School of Medicine and Dentistry. Dr. Sasse practiced as an attending physician in the division of general internal medicine at Cook County Hospital in Chicago and held an academic appointment as an assistant professor of medicine at Rush University College of Medicine in Chicago.